Our Terrain sample from Ogre 2.1 uses a compute shader to generate the shadows of the terrain, and later uses a special vs & ps to render the terrain. 3. The VS has no vertex buffer bound, but rather relies on gl_VertexID and integer ops (https://bitbucket.org/sinbad/ogre/src/09181053ca69f4760b655c2eed5b5ca7d62fd7bc/Samples/Media/Hlms/Terra/GLSL/VertexShader_vs.glsl?at=v2-1&fileviewer=file-view-default#VertexShader_vs.glsl-66) and reads the heightmap. After commit 847d0a393d7f0f967f39302900d5330f32b804c8 and at least until latest from today, running this sample causes an entire system freeze: Mouse cursor is the only thing that responds. Keyboard does not respond, hard resetting is the only way and tends to corrupt files in the drive (This was painful to bisect). Before this commit the sample behaves as expected. I can provide a binary with the failing sample, or instructions on how to build from source (https://ogrecave.github.io/ogre/api/2.1/SettingUpOgreLinux.html). Whatever you need. I'm flagging this as blocker because of the security implications of freezing the entire system with ease. To complete the bug report can you report which LLVM are you testing with? Thanks for starting to look into this! As for the Terra crash: It seems the build didn't pick rapidjson, so there's no JSON material support. 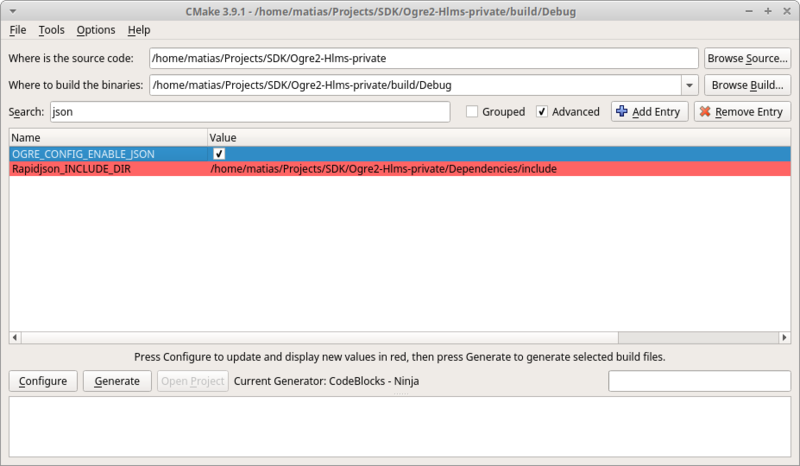 Then run CMake again on Ogre so that it picks up rapidjson and build again. Ok built it correctly this time. No crash with Mesa git and LLVM 7 the sample runs fine on my RX580. Possible there is a bug in LLVM 6. > Ok built it correctly this time. > there is a bug in LLVM 6. Ok I tested the LLVM 6.0.0 release with git master and that worked fine for me too. I just tested with Mesa latest from git (2f175bfe5d8ca59a8a68b6d6d072cd7bf2f8baa9) and LLVM 7.0 revision 328838 (anything newer and Mesa won't compile due to a known issue) and the problem is gone. Either a later Mesa commit already fixed it, or my LLVM version was too old. This ticket can be closed as the problem can no longer be reproduced.